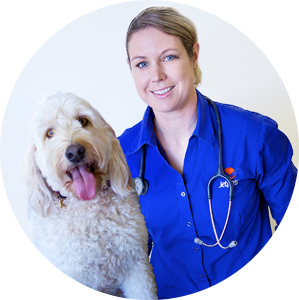 Jetpets Vet Dr Gemma shares her tips on how to keep your dog cool in summer. 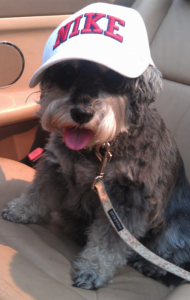 “Just like we do, dogs feel the heat in summer. Here are my tips for keeping them cool in the warmer months. It’s especially important to keep your dogs cool in summer, as heat stress in dogs can quickly become critical and can even cause death! Rather than sweating like humans do, dogs can only lose body heat by panting. In hot humid conditions, panting may not be sufficient to keep your dog cool and heat stress can quickly ensue. Dogs left in hot cars, in direct sunlight or when stressed are at risk. Snub nosed breeds, (for example Pugs, Boxers, Bulldogs or Pekinese), overweight, ill or heavily coated dogs are particularly at risk. The best way to keep your dog cool is to provide a shady spot with a good breeze, (or even a fan and air conditioning on those really hot days) and never leave dogs unattended in cars or other enclosed spaces. Ensure ample fresh water is always available as dogs can become dehydrated when they pant excessively. Also make sure that you restrict exercising to the cooler parts of the day. If your dog is panting excessively and drooling or has an elevated temperature (>40) then wetting down the dog can assist cooling. If these methods are ineffective or your dogs’ gums look grey or bluish, call the emergency Vet immediately.